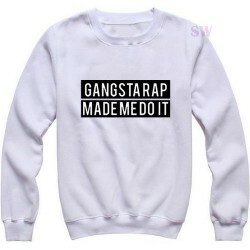 Gangsta Rap made Me Do It Sweatshirt. 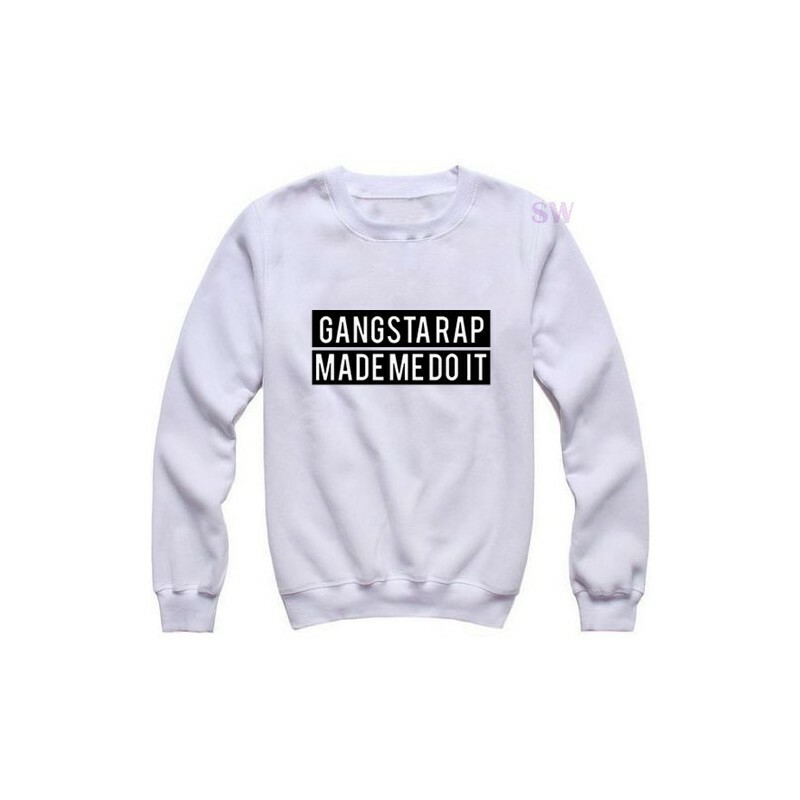 This beautifully designed sweatshirt features the Gangsta Rap made Me Do It slogan on chest. Designed and printed in the UK. We recommend washing inside out at 30 degrees and do not tumble dry. 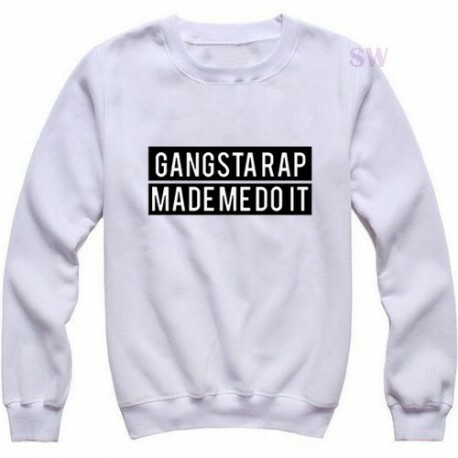 Please iron on the reverse.